Brent Cook of Exploration Insights talks about the exploration space and why facts matter when looking at a project. He also shares his top stock pick for the rest of the year. Speaking with the Investing News Network at this year’s Sprott Natural Resources Symposium, Brent Cook, editor of Exploration Insights, shared his thoughts on the exploration sector, why facts matter when looking at a project and how to approach this flat market season. Cook said that in the exploration sector, very few companies are raising money, but the ones that are raising have reached significant amounts. “There is money coming in. It’s interesting, it’s very, very selective,” said Cook, adding that he doesn’t expect financing to pick up in the second half. “What I am seeing since last year is that major mining companies are starting to fund grassroots explorations through joint ventures or placements into junior companies,” he added. For Cook, despite the decline in the price of metals and the lack of investor sentiment, facts still matter when looking at a project. Watch the video above or read the transcript below to learn more about his thoughts on gold deals, how to approach the summer season and his top stock pick. INN: We are here at the Sprott show in Vancouver, what is your main takeaway so far? Brent Cook: It’s slow but not as slow as I expected. In terms of the company I’ve been meeting and talking to, there’s still some quality work going on, quality projects and probably some good investment now. INN: Let’s talk about exploration and in particular financing, what have you seen so far this year, is money going into the juniors or do you expect that to pick up in the second half? BC: I don’t think it’s going to pick up the second half it will probably get worse. There is money coming in. It’s interesting, it’s very, very selective. Very few companies are raising, but the ones that are raising significant amounts and a lot of times they are raising more than they started off to get. Quite more important, what I see starting last year and into this year is that major mining companies are starting to fund grassroots explorations through joint ventures or placements into junior companies. So, that’s a big change, and I’m guessing an important change. 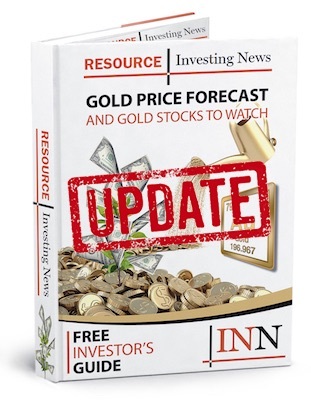 INN: How much does it matter in the exploration sector, investor sentiment and how metal prices are performing? Should investors pay attention to that or should they concentrate more on the numbers and the facts of the projects? BC: Certainly with investor interest low as it is right now and metal prices, for the most part, heading south and the lack of interest in this sector, you can’t help but not pay attention to it. But, what that does do is it comes down to your second part, you need to look at the data. Facts actually do matter, despite what we might hear from the south of here. You can evaluate a property now and project with more data than you could previously and still buy the stock at a reasonable price or less price. A lot of the times companies are putting out news and they are seen by investors or shareholders like us, as a liquidity event just to get out of this, I don’t want to see this anymore. And, they might be throwing away some good stuff and so it’s not a bad time but you got to know what you’re looking at. INN: Is there a particular geographical area that you like right now or that you think has potential? BC: Not specifically, I think the same mineral belts that have produced major world-class deposits all over the world, so I’m not geographically-focused per se, I’m size-focused. I’m looking for belts and rocks like the Andes, parts of Africa, Australia. I actually went and look at a project in Japan that look pretty interesting, but that can produce large deposits, that’s my target. INN: The last time we spoke, we talk about some of the mistakes investors can make when looking to investing in a particular company, we talked about resource estimates, numbers, but this time I wanted to ask about the team behind a project. Are there any tips to find a company that will have a dream team management that could deliver results? BC: Yes, that’s certainly critical when it’s so hard to raise money right now and I think if you’re looking at a team, the geologic side of it, the technical side of it, you want to invest in people who have been working in whatever built of rock it is, be it stateless call it “Patagonia”, who been working there for years and have a deep understanding of the subtle controls to mineralization as well as how to work with the local people in that environment, that sort of things. So, you want to invest with the team that knows where they’re at, what they’re doing and done it for a long time, did or manage the financial side of things. You want a team that’s headed by people who have the connections to go out and talk to the right people to raise money or get the share price moving. INN: And, we’re in the summer right now, the market is not as great. What is the best way to approach this season? BC: I think, what I’m doing personally, I’m going to start or continue buying a few companies that I know well and have the cash to carry out their program for a couple of years at least, with the expectation that I can buy it today and there’s a good chance in a month that I can buy it for the less price. I’m kind of thinking an average gal, I’ll never get to bottom, right? But, as long as I’m getting what I think is a good deal, you can start to establish positions in these companies, in the end will be a good deal. INN: My last question for you today. What are your top stocks for the rest of the year and why do you like those companies? BC: Okay, so in our newsletter Exploration Insights Joe and I that’s what it’s about, what we are buying, so I’m reluctant to give you everything. But, the most recent stock that I personally bought is company called Azucar Minerals (TSXV:AMZ) and it span out of Almadex. They’ve got a copper-gold project in Southern Mexico. The geologic and geophysical and geochemical characteristics suggest it’s a big– they tell me it’s a big system, multiple intrusive centers, that sort of thing. Newcrest (ASX:NCM) put money in, they put US$19 million in at evaluation, which valued that company at US$100 million, its treasure down 30 percent since then. Same company, same project, same amount of money. That to me is when do you want to just sort of trying to average down over the summer. Pingback: VIDEO — Adrian Day: "In a Weak Market You Have to Be More Selective"